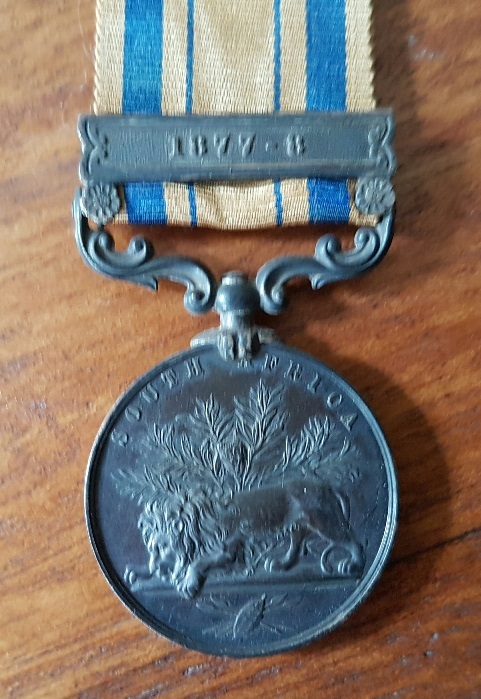 -	South African General Service Medal with clasp 1877-78 to Queenstown Vol: Cont. James Bremner was born in Edinburgh, Scotland in about 1849 the son of James Grindley Bremner, a Harness and Collar Maker, and his wife Jemima Saunders Robertson Bremner. Our first glimpse of a young James comes courtesy of the 1851 Scotland census where, aged 2, he was at home in 281 Dobbies Loan in Edinburgh along with his parents and younger brother (5 months old) William Henry. This was the last census in which the family were to appear as, soon after, they set sail for a new life in South Africa. Bremner senior had no doubt heard that the Colonial government was promising land and a fresh start to those intrepid and adventurous enough to brave the Eastern Cape frontier which, at the time of their arrival was embroiled in one of a number of Kaffir Wars – wars fought against the local tribes who were hell-bent on stealing the animals and whatever else they could get their hands on from the hardy settlers sent to create a buffer between them and the towns. The first clash between Galekas and a colonial force took place on 26 September 1877 on a hill called Gwadana, when a mixed force of Mfengu and troopers from the Colony’s Frontier Armed and Mounted Police (FAMP), commanded by Inspector Chalmers, engaged a Galeka party that had sacked a Mfengu kraal. 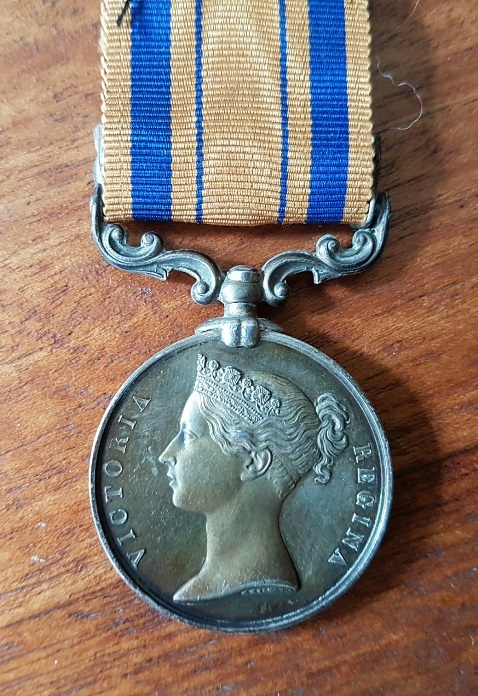 Burgher volunteers, it was decided, were going to have to be relied on to fight this war and it was to the newly created Queenstown Volunteer Contingent that a 30 year old Bremner went. Raised in 1877 for the Ninth Kaffir War only the Q.V.C. had a strength of 14 officers and 312 other ranks under the command of Captain Harvey. Headquarters were established in March 1878 at Keiskamma Hoek where the commandos of John Frost, Friedrich Schermbrucker and Edward Brabant were waited for, as well as a contingent of Mfengu levies from the Transkei. The Ngqikas were reported to be hiding in the bush- and boulder-filled canyon known as the Buffalo Poort. The plan was to ascend the highland plateau that overlooked the poort from three directions, converge on the hide-out, and squeeze them out of the bush on to the plain below where a line of infantry would be waiting to receive them. But the enemy stayed out of sight, unless it was to lure the unwary into an ambush, and remained two jumps ahead of the highly visible forces. The first offensive in the Amatolas, hampered by rain and mist, failed. Unseen the Ngqikas slipped past the sodden line of infantry, moved westwards, and entered another wilderness known as the Lotutu Bush. "An expedition under Commandant-General Griffith was about to march against Sandile in the Thomas River valley. On the 8th of March this expedition entered the valley and began to scour it, but the men who had only a fortnight before attacked Captain Harvey (Q.V.C.) with such determination seemed to have lost all heart, and made only a very feeble resistance. Seventy of them were killed, without any loss on the colonial side, and twelve hundred head of cattle, which they depended upon for food, were captured. Sandile himself, his sons, and some eight hundred of his men managed to elude the colonial forces and escape to the westward, the next thing that was known of them being that they were in the Perie bush. A reward of £500 was now offered for the capture of Sandile, and an attempt was made to surround that portion of the forest occupied by the rebels and either make them prisoners or destroy them. From the 10th to the 17th of March the troops and colonial forces were engaged in this task, but the area of operations was so extensive and the ground was so difficult for Europeans to traverse that they met with much less success than they hoped for. Quite what role Bremner played in this stirring saga of cat and mouse is unknown but he was credited as having been in on the action and awarded the S.A.G.S. medal with 1877-78 clasp as a result. He returned home to Queenstown and his family and resumed his occupation as an Auctioneer and businessman. Tragedy struck on 20 January 1892 when his youngest child, Lilian May, passed away at the age of 1 year and 6 days although, and this might sound callous, life expectancy in the rural Eastern Cape was not very high with very little in the way of medical assistance to hand. Today the headstones in the quiet Queenstown churchyard are the only reminders that a once vibrant and hardy colonist ever existed. Thanks for a well written piece on the QVC. I have one to the QVC and enjoyed your background history on the unit.